Seattle’s Thread show, put on by Joan Kelly of Joan & Jared Events, was a great success! 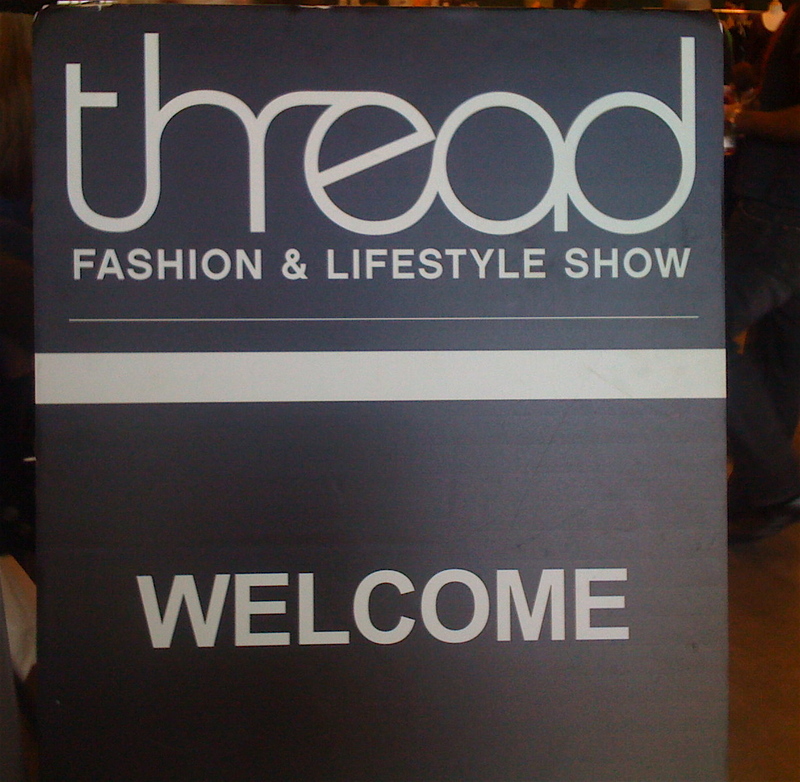 Thread is an independent shopping event with shows in San Diego, Seattle, Los Angeles, San Francisco, and Miami. These events feature one-of-a-kind pieces and rare sneak peaks of complete designer lines before they appear on the racks. At Fisher Pavilion, in the midst of models, designers and shoppers, my friend Nicole and I perused through racks of trendy clothing. I picked up a black-leather peace sign charm bracelet by Ofina and a mustard-yellow cotton skirt by Alula. I can’t wait to show off my new designer duds this week! 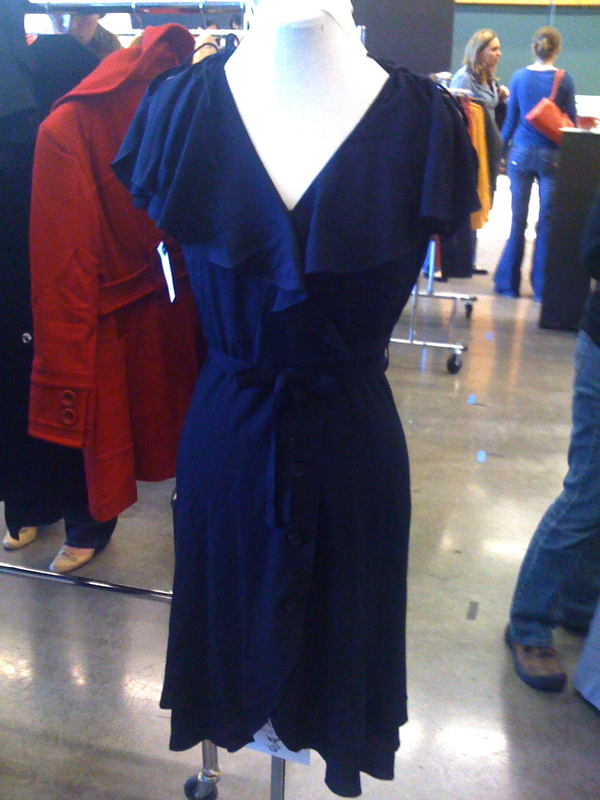 We were also able to preview Suzabelle‘s spring collection. My favorite piece was her Saint Gabriel dress, which brought a subtle sexuality and femininity to the entire collection. Be sure to mark your calendar for February 2009, when Suzabelle releases this gorgeous collection! I’m Off To See The Wizard. The Wonderful Wizard of Seattle! Ok, so my name isn’t Dorothy, but I’m pretty close! My Tory Burch patent leather flats serve as ruby slippers transporting me to the Emerald City for work every day. I even have my little dog too! For the past few weeks I have taken an internship at Frause, a public relations firm in the Emerald City. It’s so wonderful to be back in Seattle. I am having the time of my life in this amazing city and I cannot wait to seize every opportunity in the industry of public relations and marketing. My typical day includes reporting coverage as well as writing press releases and pitches. Recently, the Portland office intern and I have started blogging for the firm! I’m so proud to be part of such a wonderful firm that allows me to share my experiences and utilize my blogging skills. Be sure to check out my Frause adventures at the Frause Blog! And don’t worry, I will still be contributing to this blog.